Today, VoIP phone systems are quite prevalent, with a large number of VoIP providers all competing with each other for your business, no matter whether it is a huge company, or something more simple that provides telephony for small business. While many VoIP providers are quite similar in their basic technology, there can be vast differences between them regarding the services they offer as well as their basic functionality. Here, we will take a look at two of the most popular VoIP phone service providers, RingCentral and Nextiva, and do an in-depth comparison of these two providers to see how they stack up against each other. We will look at the main features of these services as well as their pricing, and give you the rundown on both of these aspects as well as their installation and customer service to help you choose the best one for your needs. RingCentral is a leading provider of VoIP services that include phone, team messaging, and video conferencing services. They cater to a wide range of clients, ranging from small startups to enterprise level solutions. 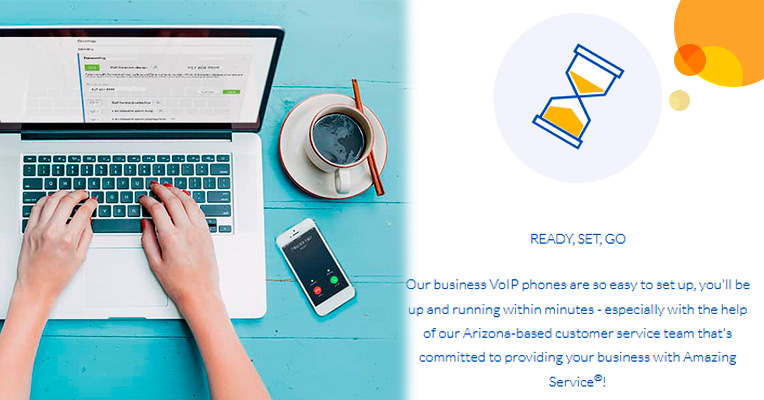 Their services for all clients include a wide range of features as well as competitive pricing plans that have helped make them a leader in the VoIP market. The heart of the services that are provided by RingCentral is the cloud-based VoIP phone system. Since it is a cloud-based service, this means that the customer doesn’t need to have special phone infrastructure installed in order to use the service, making it a great buy for businesses that need a communications solution as soon as possible. Instead, the phone infrastructure is almost all on RingCentral's end, and the customer requires little more than an Internet connection to get the service up and running. The number of telephone lines and numbers that are provided is easily scalable, meaning that businesses of any size can start using the service, and the service will expand along with the growth of their company. Standard VoIP phones can be used with the service, and if you don’t already have such phones available in your office, RingCentral has a number of VoIP phones and headsets available for purchase. Of course, you don’t even need to use a phone, as you can use a phone client on your computer or mobile device to act as the cloud phone for you. 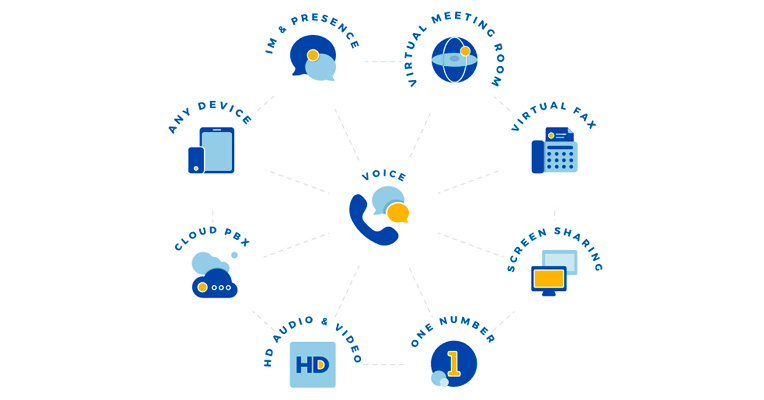 Along with the phone service, which contains a large variety of features that are native to digital and VoIP phone systems, you also have features including team messaging clients, video conferencing, an online fax service, and additional features that include easy administration, security, and analytics. 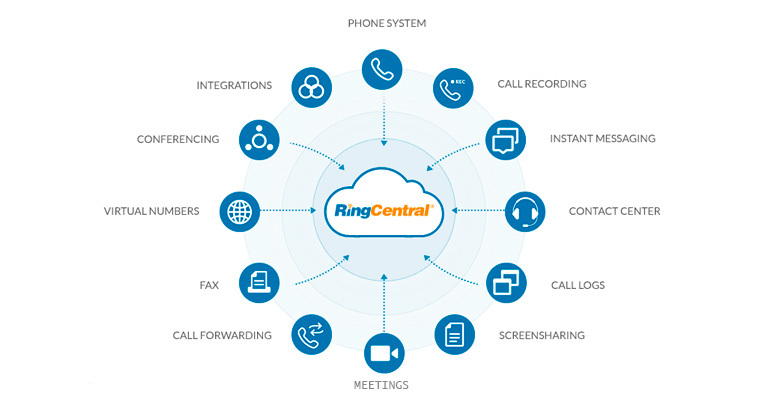 In short, the number of services provided by RingCentral are huge, rivalling and in many ways surpassing what was offered by the major telecom providers just a decade ago. 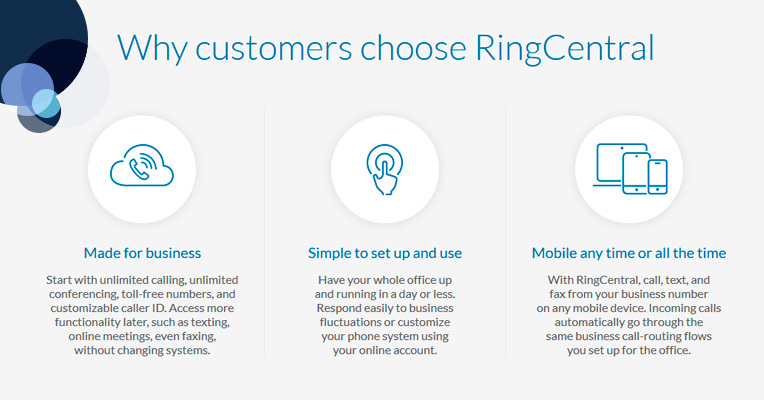 Needless to say, RingCentral offers everything you could need in a business telecommunications system. This is the part where most people brace themselves for “sticker shock”, but you will actually be pleasantly surprised. 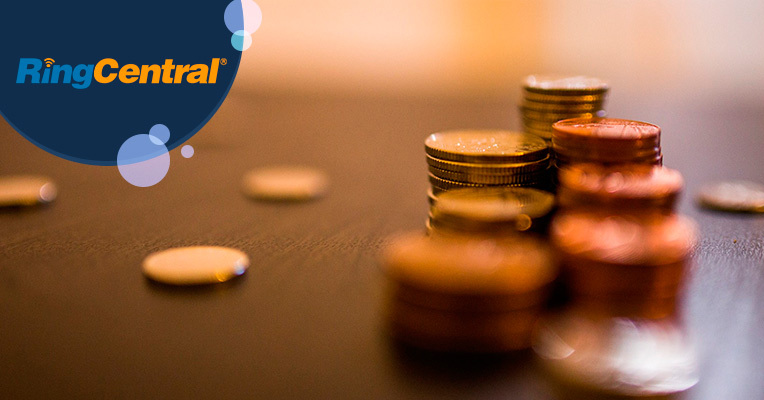 RingCentral offers a selection of plans that start as low as $19.99 per month, making this an extremely affordable service that by far outvalues the old business telecommunications systems. The base per user rate of $19.99 per month gives you up to 10 users, a toll-free or local phone number, 100 toll-free minutes each month, and 4 user video conferencing. This package makes this service perfect for a small business with only a few employees, giving you everything you need while also having the ability to easily scale up as your business grows. $49.99 per month - Unlimited users, toll-free or local number, 10,000 toll-free minutes per month, 200 people video conferencing, unlimited Internet fax, automatic call recording, voicemail-to-text. 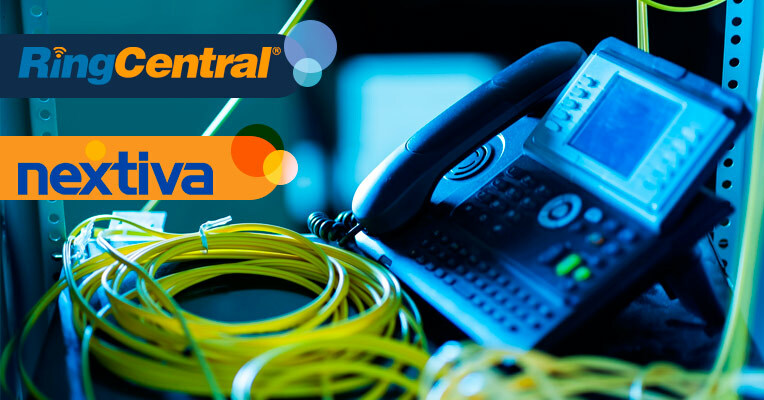 This broad array of services and pricing plans ensures that businesses of all sizes will have their telecommunications needs easily met with the RingCentral service, with very affordable rates and world-class service. Nextiva is a large telecommunications provider that caters to businesses of all sizes, with a current client base of over 150,000 customers. They specialize in providing VoIP communications services that include standard features such as video conferencing, team messaging, and a multi-line phone system, along with a host of other included features that make their service a complete package. Just like most of the other large telecommunications providers that target businesses, Nextiva provides a cloud-based VoIP system that is packaged with features and capabilities. Just like with RingCentral and some other VoIP providers, their service can be purchased and used immediately, as it doesn’t require expensive in-house hardware in order to work. Just having an existing Internet connection and a computer is enough. Using the cloud-based service allows customers to use just what they need, but they can also easily scale up their service as their business growth and needs demand. Along with their basic phone service, Nextiva includes a number of features that complement their service, including voice to email, unlimited virtual faxing, shared call appearance, hold music, voicemail-to-text, and barge in capabilities. Higher pricing tiers will give additional features along with the same capabilities as the previous tier. 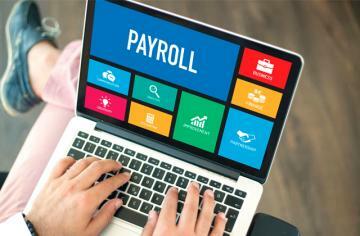 This allows for a great deal of scalability and ensures that customers are able to get what they need without additional costs being thrown in. As the Nextiva service is cloud-based, you are able to use a computer or existing IP phones if you don’t want to purchase any additional hardware. 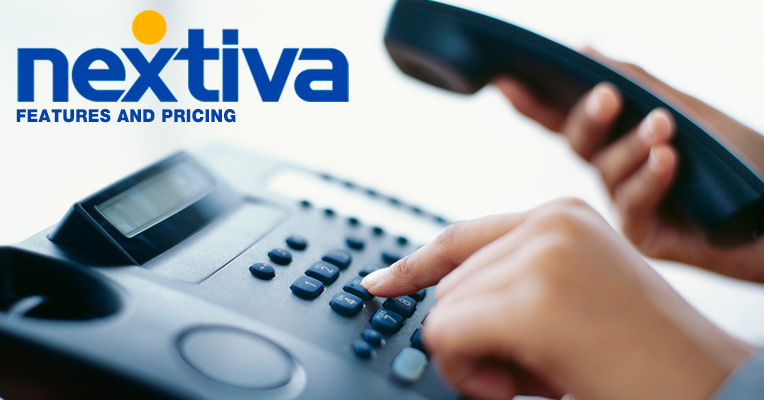 However, Nextiva does offer a large range of IP phones that are compatible with their service, ranging from low-end models to high-end phones with a huge array of features and capabilities. Nextiva even includes the capability of allowing you to use the Nextiva service on existing PBX hardware that your company might already have. As a cloud-based VoIP phone service, there are multiple tiered plans available that give businesses of all sizes the ability to have just what they need at an affordable price. Their base “Office Pro” package is $19.95 per month, and includes the base features of their service (listed above) along with additional features such as a Cloud PBX, free number porting, advanced call management, unlimited calling, a free local number, and a free toll-free number. This is a pretty advanced package for a base package, making this a great deal for any small business with low requirements for a communications system. Office Pro Plus ($20.95 per month) - Includes a professionally recorded greeting, Call Me Now, conference bridge, the Nextiva mobile app, team presence, and text messaging. Office Enterprise ($27.95 per month) - Includes 3 professionally recorded greetings, call recording, Nextiva Anywhere, unlimited calling, and free local and toll-free numbers. The voicemail-to-text feature that is included in all tiers costs an additional $2.95 per line. Now that the main features and pricing of both the RingCentral and Nextiva services have been compared, it is time to take a look at the essentials of installing and using both services. As both systems are cloud-based, this makes their installation much easier than it is with a traditional phone system or even an in-house VoIP PBX. Installing the RingCentral service couldn’t be any more straightforward than it already is. Once you have ordered the service, you can immediately get started by downloading the apps for both the computer and mobile devices. The phone service can be administered through the web portal, which allows you to set up the different users, extensions, and departments, as well as manage the IP phones that you are using with the system. The web portal is easy to use, with all of the different settings available in different categories. It should take a minimal amount of time to set up your entire phone system, even with a large business. Using the service is also quite easy. 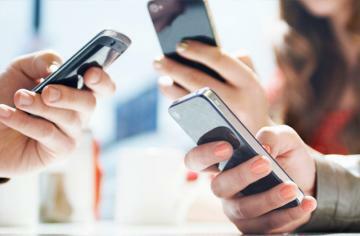 Apps for the computer and mobile devices allow for using the phone service, along with the team messaging service. The clients are quite straightforward and require users to spend almost no time getting familiar with the features. The service is also easy to set up and use with IP phones, with the phone administration all handled through the administration web portal. 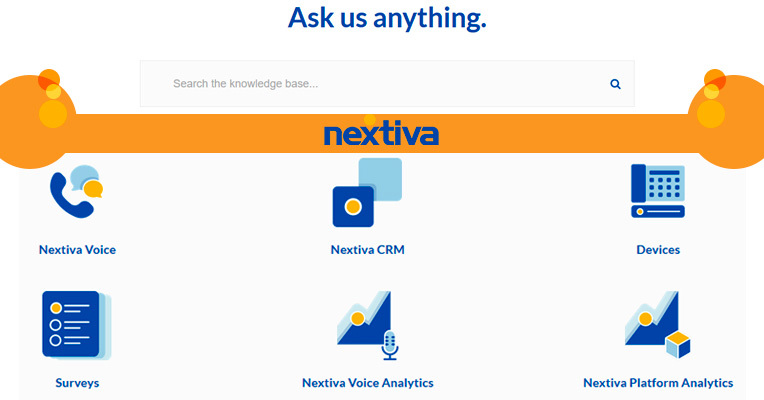 Just like with the RingCentral service, the Nextiva service is quite simple to install and start using. When you order the service, you will be given access to the NextOS web portal, which allows you to administrate your account. From here, you can manage the users of the service, configure IP phones, and set up the various options that are included, such as voicemail, faxing, and most of the other features provided by the service. 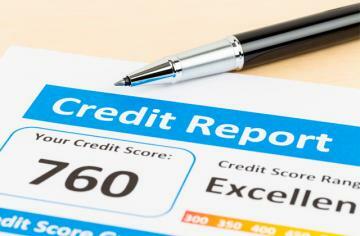 Using the Nextiva service is just as easy as installing it. Simply download the apps for whichever devices you will use it on, and if the user has already been activated by the administrator, you can immediately start using it. The service works with IP phones, which may take a little more configuring, but should still be easy to set up and use. No matter how easy a communications service may be to use, there will always come a time where you will need to contact the company’s customer service department for help. 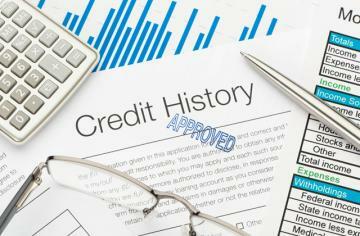 RingCentral makes this process quite simple by providing several avenues for assistance. The RingCentral website provides a wealth of information about how to get started with the service, including tutorials for administration as well as using the different features that are provided. Along with the online guides and knowledge base, you also have access to live online chat support, where you are able to get immediate assistance with whatever problems or questions you might have. If you have a more complex issue that will require research and won’t have an immediate answer, you can open a support case to get a ticket for the issue submitted. 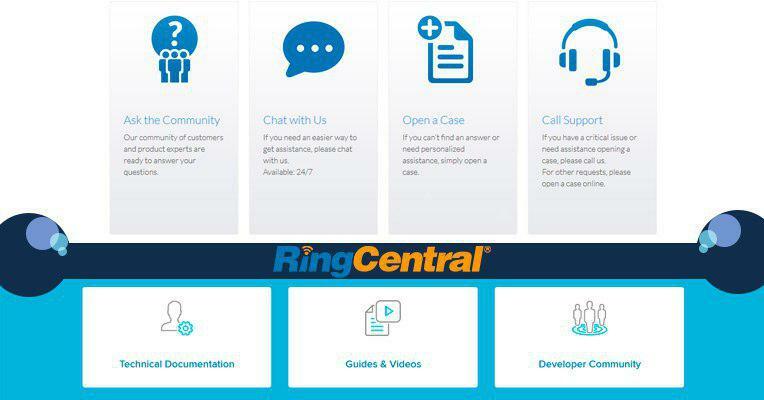 Finally, for the most urgent issues, there is 24/7 phone support available for all users of the RingCentral Office plans with 2 or more users. For single user support as well as for non-English language support, the phone support line is available Monday through Friday during normal business hours. 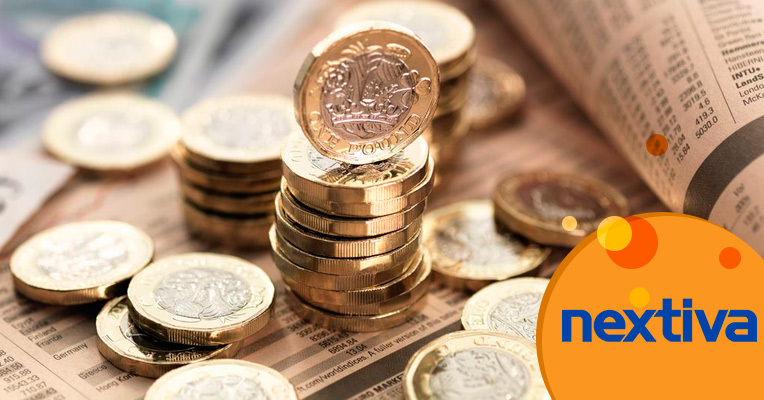 The inevitability of needing some kind of support from the service has been well anticipated by Nextiva, who provides a number of support options for their service. They have an extensive support center and knowledge base on their website that covers almost every topic you can think of, from getting started with the service to using the most complex features that are offered. A large number of video tutorials are also provided that will guide you through using their services. There is even a system status page that will show you the current status of their various services, in case you are experiencing an outage. Chat services are also available through the website, with questions handled for new and existing customers in a timely fashion. If you have an urgent support matter, there is 24/7 telephone support available through a toll-free number. So, which of these services will suit you the best? This will depend entirely on your needs. Both companies provide easy to use services that are loaded with features, providing you with an extensive and comprehensive business communications system. 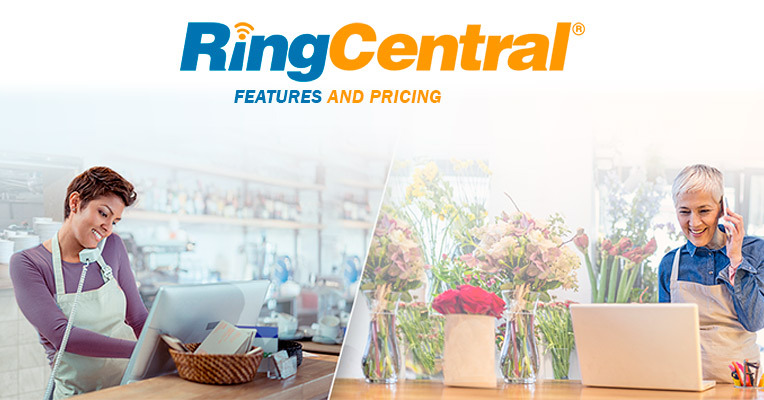 Overall, though, we find that RingCentral seems to provide the better all-around value, especially with small businesses, as they have more service tiers available, all without extra costs. Regardless, either of these VoIP services is both easy to use and feature-rich, and should provide your business with everything they need in regards to communications.